When going to bed one night, a boy discovers his teddy bear has gone missing. While looking for his teddy he encounters various creatures all of whom are willing and eager to join the boy's search. 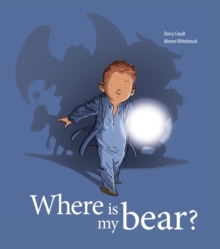 The jaunty rhyme, the boy's unwavering quest for his teddy, and his deadpan reactions to discovering monsters in his sock drawer and under his bed make this great fun for readers young and old."